Joyce Glasser reviews I, Tonya (February 23, 2018) Cert 15, 119 min. If the figure skating at the Pyeongchang Winter Olympics this year was a pretty calm and routine affair, this was not the case back in 1994 when the scandal surrounding one petite, 24-year-old American figure skater turned the Lillehammer Olympics into a media frenzy. In director Craig Gillespie (Million Dollar Arm), and scriptwriter Steven Rogers’ outrageously entertaining biopic, figure skater Tonya Harding becomes that rarity: a female reprobate who is both devilishly appealing and vulnerable enough for us to see her life as a tragedy, as opposed to just deserts. At least, that is Harding as portrayed by Margot Robbie (The Wolf of Wall Street) in an Academy Award worthy performance. 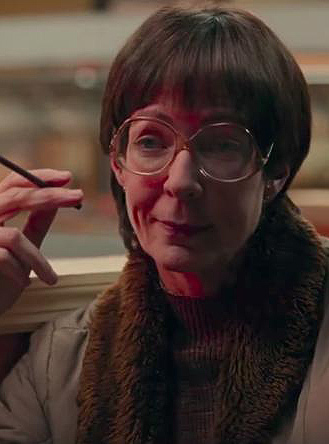 Gillespie structures the biopic as a mockumentary and opens with after-the-fact interviews with the main characters in the film, 40 years after 4-year-old Tonya is pushed onto a public ice ring by her mother, LaVona Fay Golden (Allison Janney). A waitress and abusive mother, LaVona tells us, ‘Tonya is my fifth child from husband number four,’ but there are enough grubby low lives in Tonya’s circle without our meeting all of her half relatives. Puffing skinny cigarettes from a sofa for much of the film, with her close-cropped hair, Iris Apfel super glasses, and habit of brushing away a pecking parrot on her shoulder, LaVona is Cruella De Vil incarnate, only too foul-mouthed for a Disney adaptation. Tonya takes to the skating ring and to the discipline of training under her sympathetic coach Diane Rawlinson who recognises the girl’s natural talent. But LaVona takes Tonya out of school to train full time and never lets her daughter forget how hard she slaved away for the tuition. Any indebtedness is surely settled when LaVona stabs her daughter with a kitchen knife during one of their regular squabbles. If LaVona doesn’t have a maternal bone in her body, she has endless malicious cunning. While Janney provides comic relief, no one is laughing when what we hope is a mother-daughter bonding scene, turns out to be arguably the darkest and most shocking in the film. It would be a spoiler to say more, but bear in mind that if a leopard doesn’t change its spots, there are worse predators than leopards in Oregon. 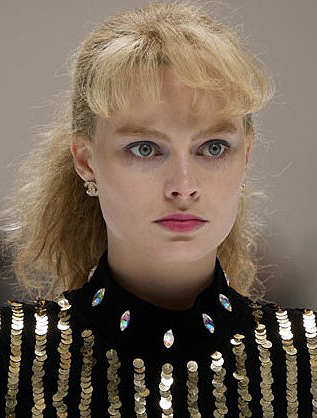 Class was to play a role in Tonya’s tale and there is probably some merit to her complaints that her red-neck reputation in an elitist, or at least, middle class sport caused certain judges to reduce points from her skating. The judges were more forthcoming about their disapproval of her vulgar hand-made costumes and choice of music. But there is no opportunity to withhold top points for the 21-year-old’s 1991 Skate America performance where she landed the triple axel jump; achieved two ‘perfect’ or 6.0 scores, and won her gold medal to rapturous applause. 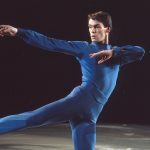 Tonya sees Jeff as a way of escaping her mother’s abuse and oppressive negativity that extended to paying a man to heckle Tonya at the 1991 Nationals in Minneapolis. But Tonya leaps from the frying pan into the fire. Her relationship with Jeff hardly helps her career (she drops out of the 1992 Olympics and after finally leaving Jeff, returns for something worse than his mood swings. No doubt eager to share his wife’s prize money and endorsements, Jeff launches a plot to ensure that Tonya is unchallenged in the 1994 US Championships Olympic qualifiers. 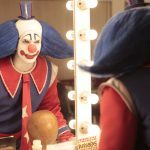 While the filmmakers stick to the facts (omission of facts is something else) and the skating sequences are brilliantly edited (Robbie does some basic skating), it is the story off the ice rink that becomes so strange you couldn’t have made it up. 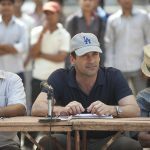 So while it might strike you as the poorest of taste to turn an innocent victim’s – Nancy Kerrigan’s suffering, trauma and missed championship –– into a dark comedy, it is really too absurd to be told any other way. During her training for the US Championships, Tonya is spooked by a death threat. As the police cannot provide protection, Jeff has the bright idea of instructing Tonya’s self-appointed bodyguard Shawn Eckhardt (Paul Walter Hauser) to send death threats to the assumed perpetrator, Nancy Kerrigan. When we learn who really sent the threats, it is beyond human comprehension. It is a weakness in the film that this is the first we learn of the Harding-Kerrigan rivalry, but Jeff gives Eckhardt the schedule for practice sessions at the Detroit Nationals where Kerrigan is practising. A pudgy looser with multiple screws loose and delusions of grandeur, Eckhardt makes the mistake of acting on his own terrible initiative. He hires Shane Stant (Ricky Russert), a thug as inept as himself if that’s possible, to put Kerrigan out of commission. And naturally, the plan is so bungled that Stant and his getaway driver are caught. These are characters that might be at home in a Coen Brothers comedy, but even there they would challenge credibility. Anyone who believes that the film exonerates Tonya might consider a recent interview with Jeff, in which he says that his biggest regret is helping to ruin Harding’s career. If Harding is remembered as a villain who was aware of the Kerrigan conspiracy and remained silent, I, Tonya , fleshes out the woman behind the controversy – and ignites a new debate.